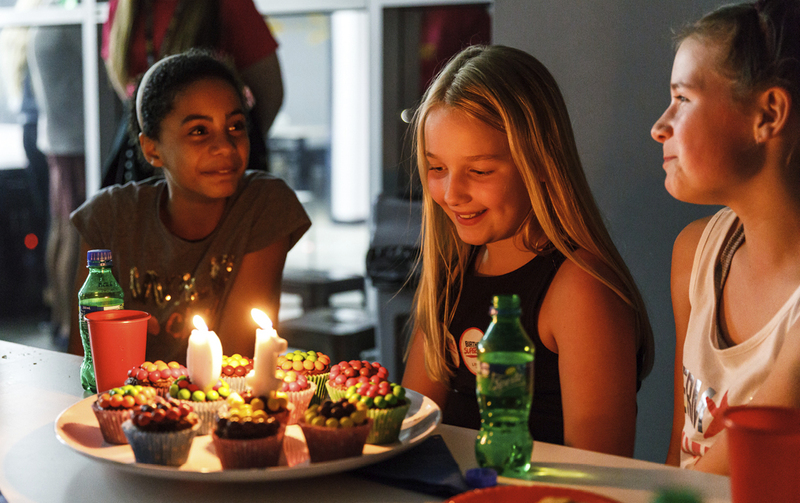 Looking for a unique way to celebrate your birthday party? 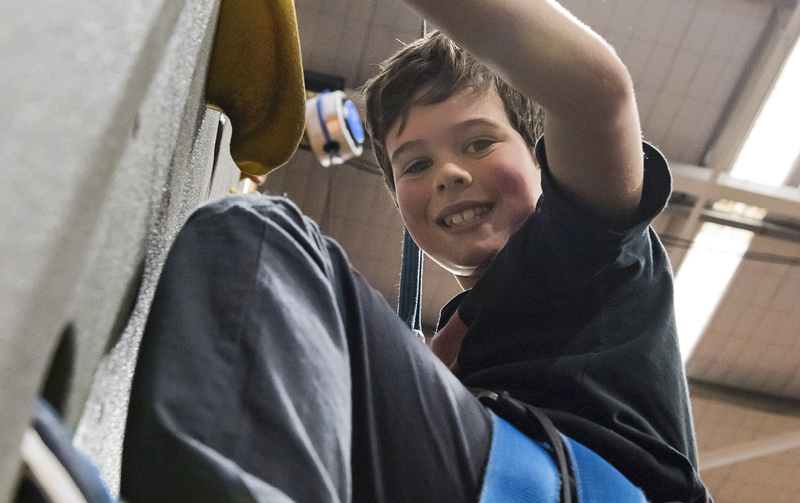 Can’t decide between bouncing or climbing? Well, you don’t have to. 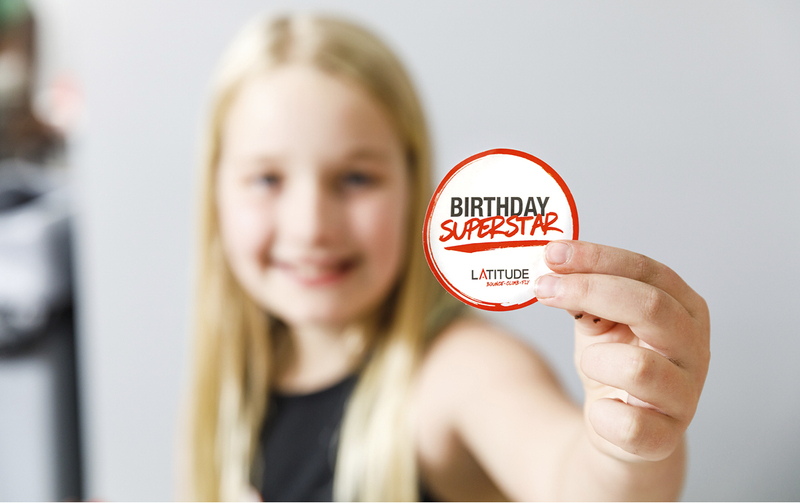 You can have it all with an action-packed birthday party at Latitude! 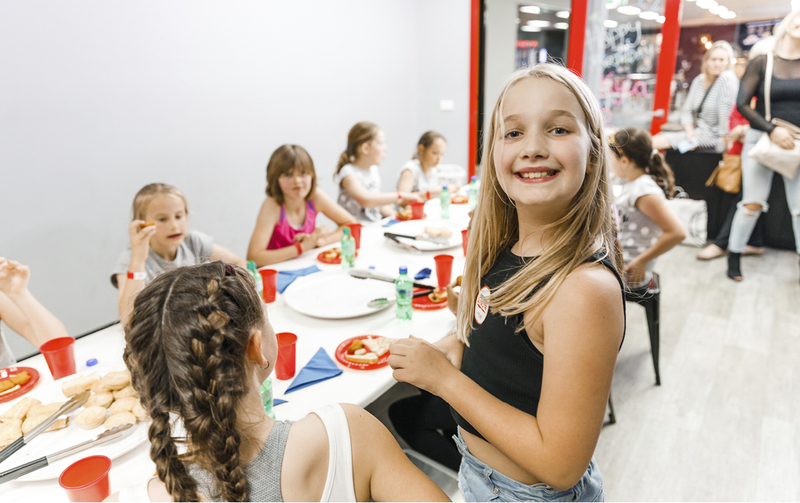 From invitations and entertainment, to party food and the post-party clean up, our complete childrens birthday party solution has you covered. We can even organise the cake and lolly bags to lighten the load. All you need to do is show up. 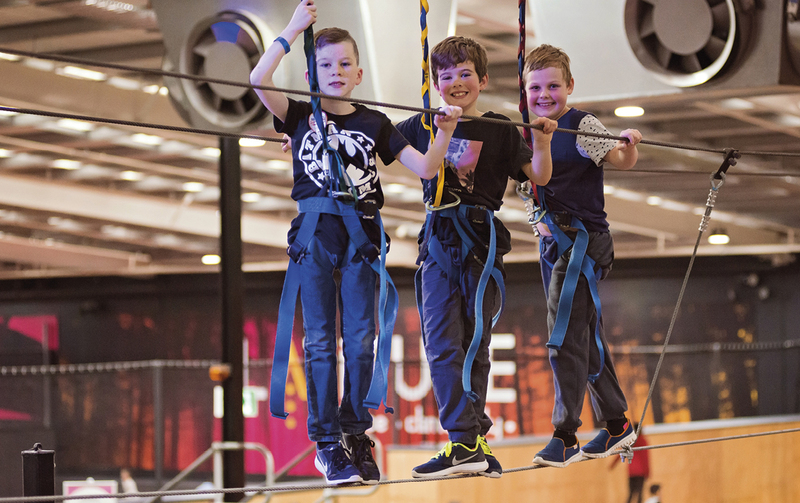 Our activity floor offers a world of aerial entertainment for you and your crew to enjoy. 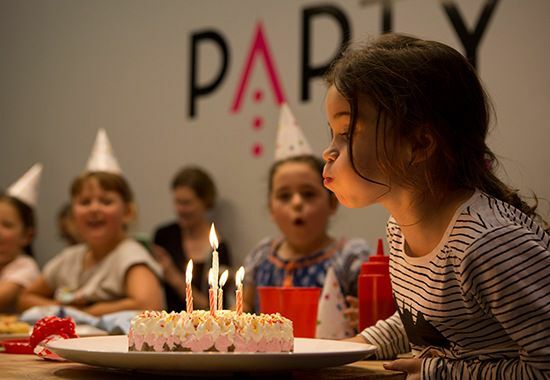 We offer two types of party; General Birthday Party for children 5 years and older (and at least 110cm tall), and the Kids Zone Birthday Party for children aged 18 months - 5 years (under 110cm). We can cater for a range of dietary requirements and allergies. Please give us a call to discuss your special requirements. Booking your children's birthday party is easy. You can check availability online and follow the easy prompts to secure your booking. Our Events team will give you a call before the event to confirm final numbers, catering requirements and take the final payment. If you prefer to give us a call, we are happy to talk you through the booking. We're here to help make your birthday party a breeze! 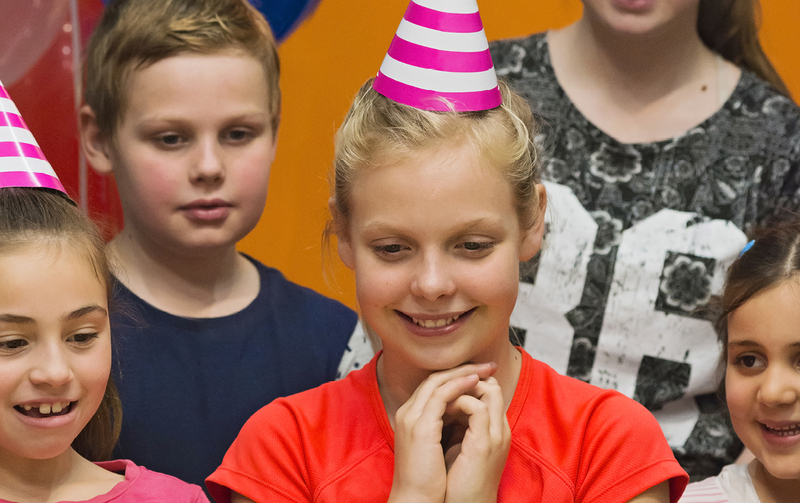 What is the minimum number of children for a party? Can I change the number of children attending the party? What happens if I have some children under the age of 5 and some over the age of 5? Can I extend the party? Can you cater for specific dietary needs? What happens if an extra guest turns up on the day? What happens if a guest doesn’t show up on the day? 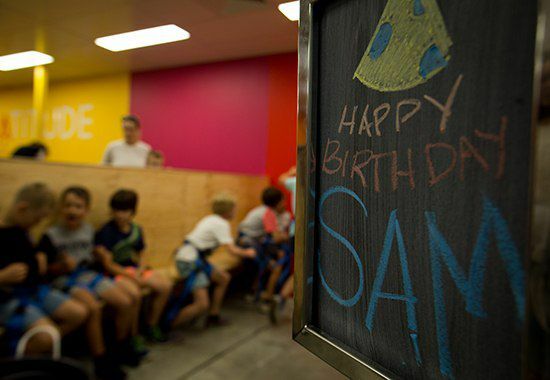 Birthday parties start with a minimum of 10, and can accommodate up to 22 children. If you party exceeds this number, just give our events team a call and they will take care of you. You are welcome to make changes to your booking up to 7 days prior to the event, before you make your final payment. Numbers cannot drop below 10 children per party, and we will happily increase your party numbers if we have the availability to do so. Please note your final payment is non refundable, so please ensure you have checked all the details thoroughly. 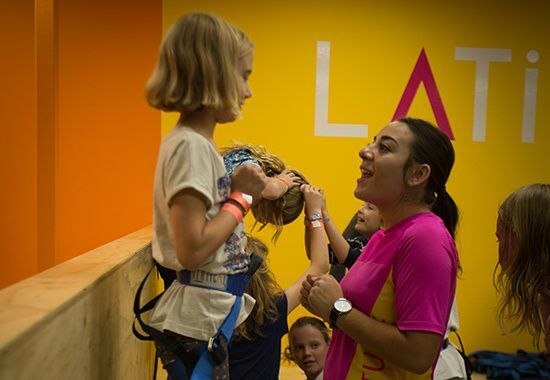 We can accommodate by having children under the age of 5 and under 110cm in our Kids Zone area, whilst everyone over the age of 5 and over 110cm, will participate in the general area. All children will then come together after the activity portion of the party and eat together in your very own private party room. Absolutely. 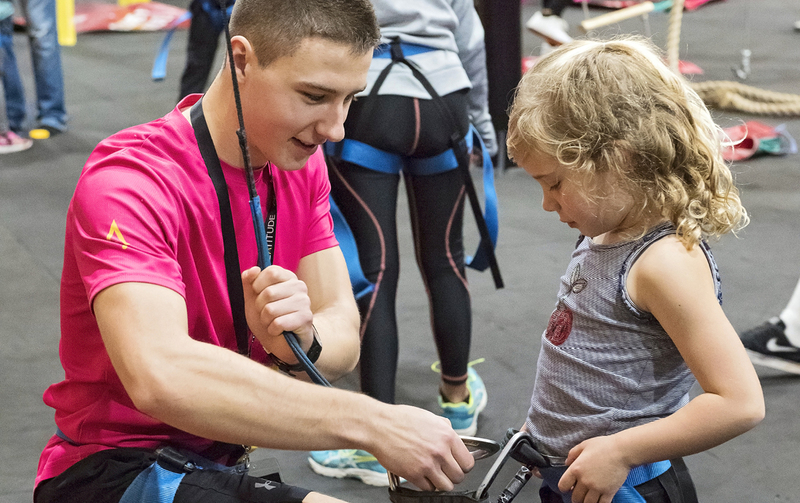 You can add an additional hour on the activity floor for $10per person, giving the party two hours of activity and 40 minutes in your dedicated party room. An electronic invite will be attached to your confirmation email, personalised with the date and time of your birthday party. You can print these at home or email them to your guests. We also have the option of physical invites available if you want to call in to the venue and collect them. When you book a Latitude birthday party, this includes the hire of a private party room. 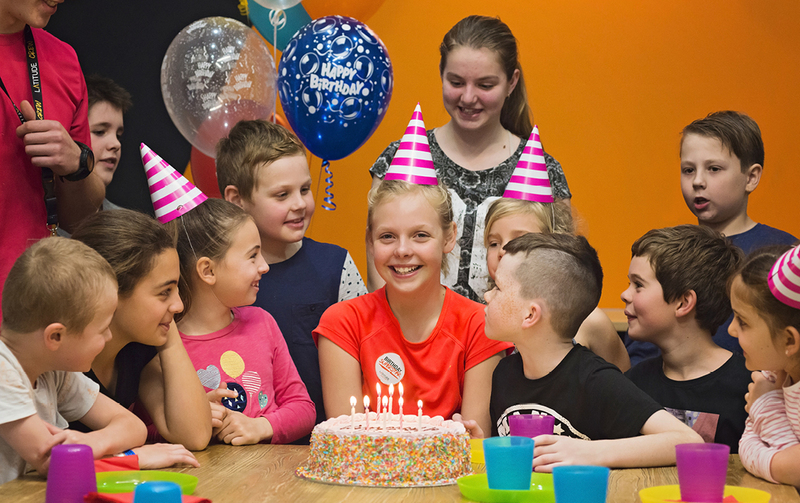 In your private party room, you are welcome to enjoy your own birthday cake and provide lolly bags for your guests to take home. We are also happy to organise this for you to lighten the load. We can store it in a cool room, fridge or freezer. Please note: External catering is not permitted in the cafe, or any other public areas in Latitude. Yes, we cater for a range of dietary requirements and allergies. Just give us a call and we will find a solution for your needs. No outside food or drink is permitted at Latitude. Drinking water is provided for all patrons free of charge. Our party rooms are bright and inviting, but do not have a special theme. The space is yours to decorate as you wish, ensuring you can add a personal touch for the special birthday child. Please let one of our awesome party crew know about your plans and we’ll assist wherever we can in set-up so the day runs smoothly for you. Yes, you are welcome to decorate your dedicated party room with balloons, and a table cloth as desired. Consult the party concierge on arrival and they will inform you when the room is ready for you party. For children's party decor inspiration, check out how superstar mumma Tara Legan transformed her Latitude party room into a LOL Surprise! party haven. Read here. We can do our very best to accommodate them on the day, however we cannot guarantee floor and catering availability. If someone doesn’t show on the day, unfortunately we cannot process a refund or credit. You are more than welcome to utilise this spot for a sibling or even if an adult wants to jump in!